Detailed with Love Sneak Peek of 2018 New Catalog! 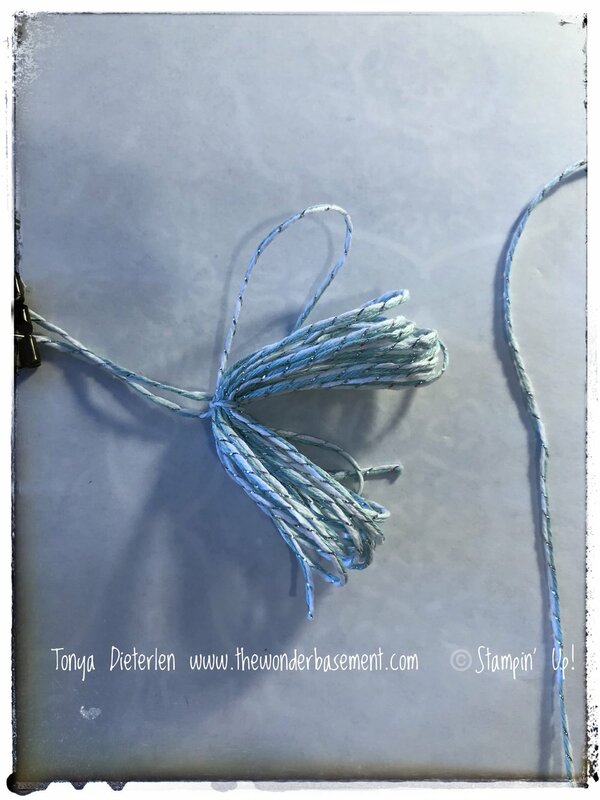 How to make a tassel! 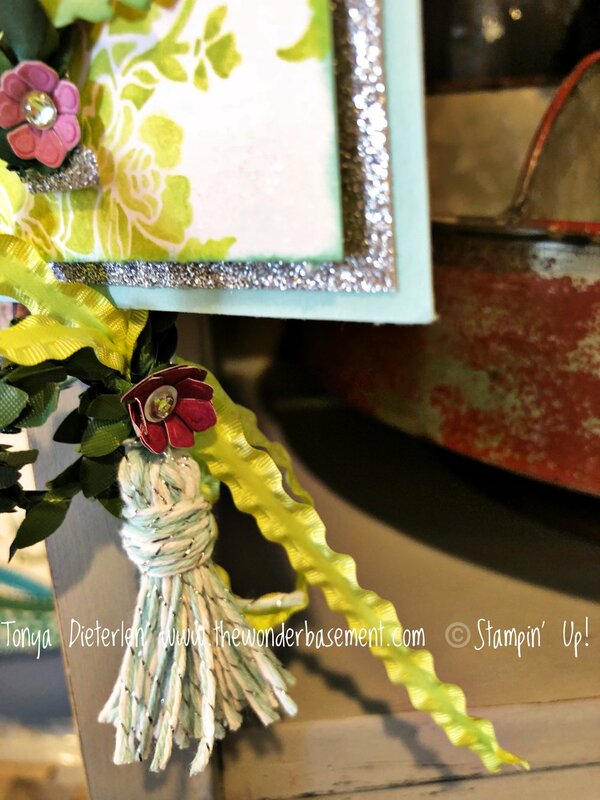 I had the privilege to be a Display Stamper for Stampin' Up! Atlanta On-stage this past April. It was SO. MUCH. FUN! Loved having my own sneak peek in February. It was like the Food Network TV show, Chopped! only with stamp supplies. I had a plain cardboard box filled with goodies that are in the New 2018 Annual Catalog. Not knowing what the items went with or seeing any of the paper, I was charged with the task of completing 15-20 projects to showcase at On-Stage. I could use any of the current items in the 2017 Catalog or the Occasions Mini Catalog. Daunting, but SO worth the effort. Once my creative juices started flowing, I was able to knock out several cool projects and lots of material to share with you! I hope you enjoy learning along with me as I take you on the journey of creating. The first thing I'd like to share is the Note Card set that made using a bundle that was featured in the Occasions Mini Catalog, called the Sure do Love You Bundle. (SO if you want the framelit I used, GO HERE! It is NOT being carried over to the new catalog. Which is kind of a bummer, because it's easy and fun to use. There are several new items here: The stamp set is Detailed with Love, New Lemon-lime twist 3/8" mini ruffled ribbon, and The silver & pool party baker's twine. I'm going to show you how to make the tassel. It was easy and SO cool! 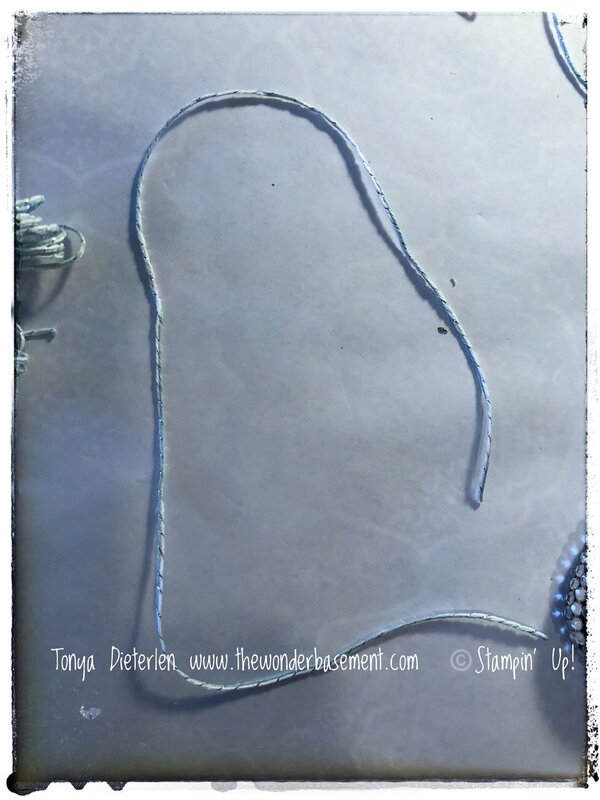 It would be a great thing to add to your planner, or favorite book mark. 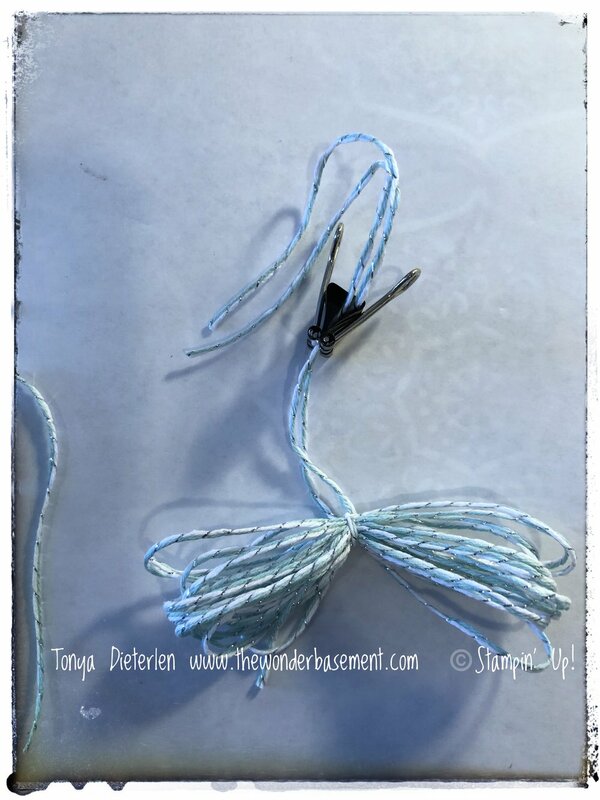 I LOVE tassels and they are everywhere in jewelry, and papercrafts. I hope the photos are self explanatory. I have more projects to show you this coming week, so stay tuned! If you have questions, leave a comment, or catch me over on the Wonderbasement Facebook page.